Each and every trip to Bali is one to remember. 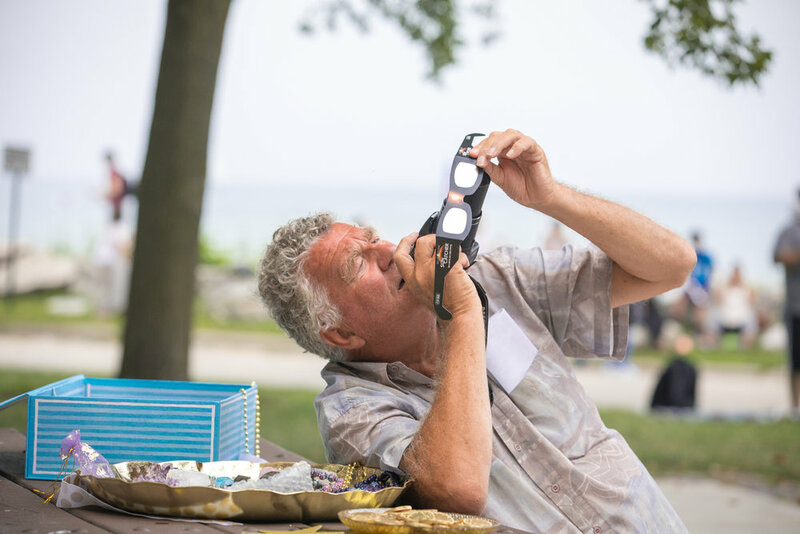 During our retreats we make sure to explore as much of the culture around us, learning ancient wisdom and traditions, as well as self-exploration through each individual astrological chart. And, of course, we especially have fun in the process! What a beautiful process, with a gorgeous, tangible reminder in my mailbox. Rewind to the creation of my Personal Intention Beads Bracelet, when I received an email asking for my specific birth information: where I was born, exact time of my birth—that sort of thing. At that time, I was able to choose the colors of the beads that Sandy would use to create a personalized bracelet based on my unique intentions. A simple though daunting task, I sat at my computer for more than 10 minutes, choosing the colors that truly “spoke” to me. What colors represent me? Did I want to go with fiery red or energetic yellow? Should I choose the more subdued blues and purples? I ended up with a combination of both—yellow-green, blue, and purple. 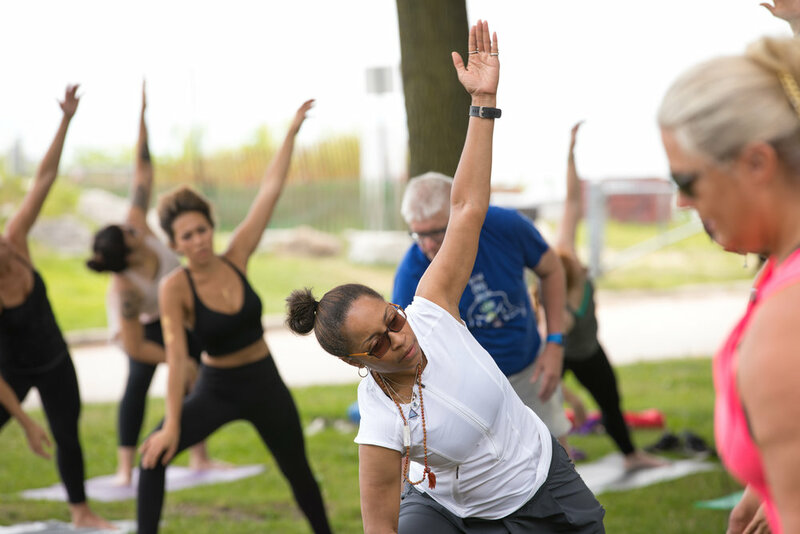 And although I hadn’t quite formed the words that would be “my intention” just yet, I felt comfortable knowing that it was balanced—some calm, mixed with some energy. A few days after choosing a date and time for my preliminary reading, I received a confirmation email. The process seemed simple so far. Two weeks later, it was the morning of my session. I opened my inbox to see an email from Sandy with a colorfully marked natal chart attached. I felt giddy, excited, and a bit nervous. What was this all about? How much information should I reveal? Did it make sense to hold back or to give her the full picture—was I even seeing the complete picture? These questions swirled around me as I carefully observed my natal chart. It was like reading Greek, or Chinese for that matter. From my teenaged obsession with reading the daily horoscopes, I was able to decipher the zodiac signs, but my understanding ended there. I needed a translator. That’s where Sandy came in. She asked me to sit in quiet meditation before the call. She joined in from afar and our energies aligned. When the phone rang, I felt like a little girl that had just won a prize at the boardwalk. My stomach jumped as I breathed deeply. Upon hearing her calming voice, I instantly knew that I had to reveal everything in order to get the best reading. And I did—but not until Sandy asked for the information. She translated each piece of the natal chart, explaining how I show up in the world and how I initiate relationships with others around me. What a fascinating experience—looking to the heavens for an explanation of earthly behaviors. Troubling times—and there have been a few—were right on the mark. She pinpointed the date, down to the month, of the times my “backpack got heavier” because of added responsibilities, and also spoke about balance—Universal balance, that is. An awareness that life is as intended, and that I need to live for myself before I can share my gifts with others. Wow. She hit it all on the head. I should mention that Sandy and I had only met briefly once before. This reading was based solely on the alignment of the sun, moon, and stars—that’s a beautiful thing. Toward the end of the call, we took all of this understanding and translated it into words that would become my intention, or my goal, and my affirmation—my path, and my life’s purpose for the foreseeable future. We both meditated on these words for some time after the call, during which time Sandy searched for my ‘Go Time’—the exact moment in time that best supports my unique intention and affirmation. 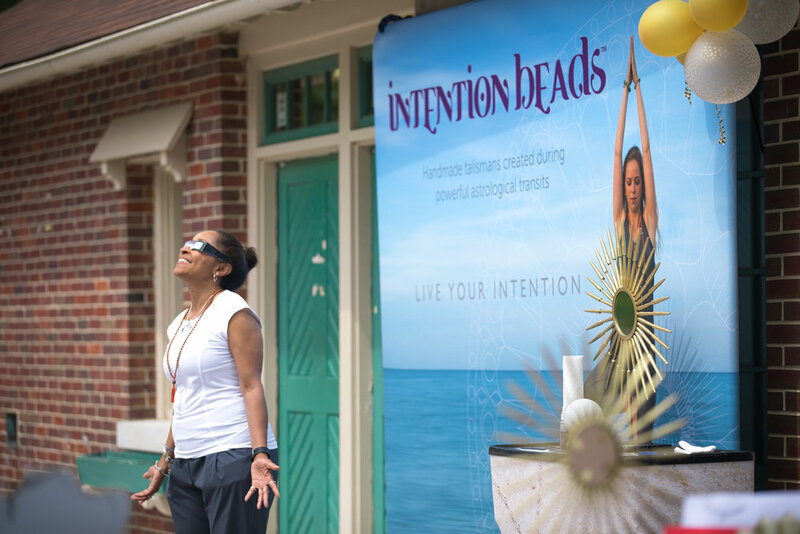 During my ‘Go Time,’ I closed my eyes and repeated the self-affirming words that Sandy and I had crafted together as she hand-rolled and strung the beads that she artistically created and chose based on my colors and intention. A week or so later, a package arrived. As carefully and as lovingly as it was created, the bracelet was wrapped and filled with goodness and pure intention. It has my chosen balanced colors, imparting a sense of calm every time it graces my wrist. The bracelet came with a registration card so that the connection does not end when the beads are shipped. As I wear my beads, I live my intention, and I bring Sandy along with me on my journey. This beautiful piece of jewelry is a reminder of the powerful energetic process that led me to develop life-guiding words that continually ground and support me. 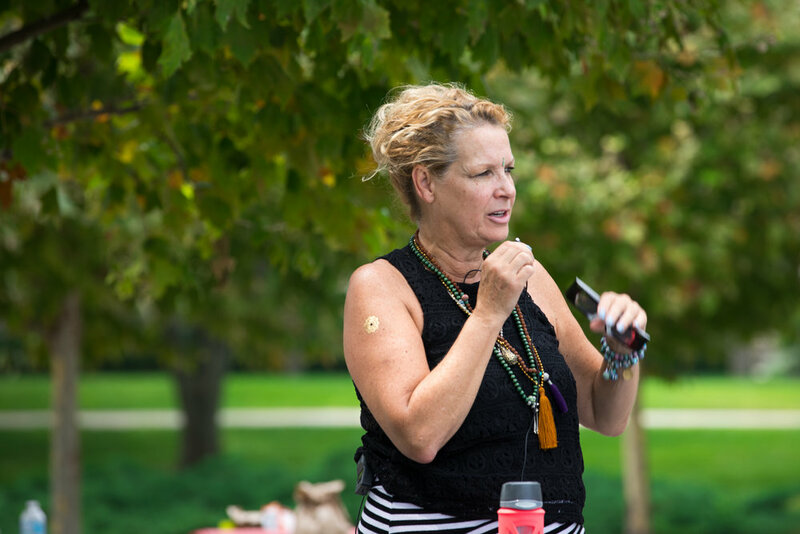 Aside from receiving a one-of-a-kind bracelet, the creative process itself was enlightening and self-affirming, helping to propel me on my journey toward a future of balance, knowing, and fulfillment. Gratitude. 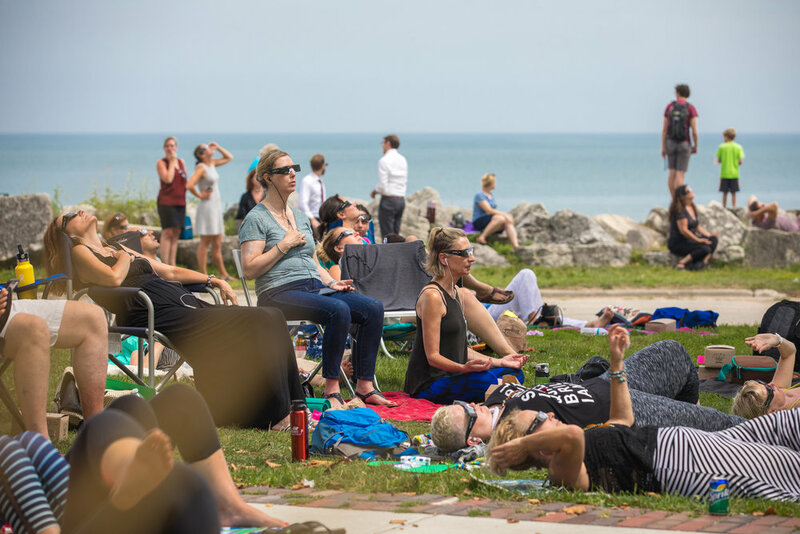 Feeling so much gratitude after our Solar Eclipse celebration! 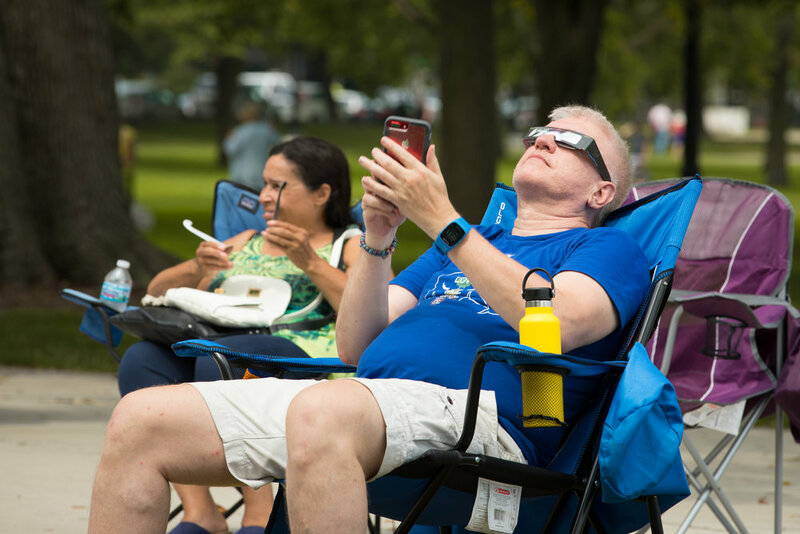 A truly inspiring moment of unity and transformation, this 2017 Solar Eclipse was focused and driven to unite the United States and transform our ideas of leadership. 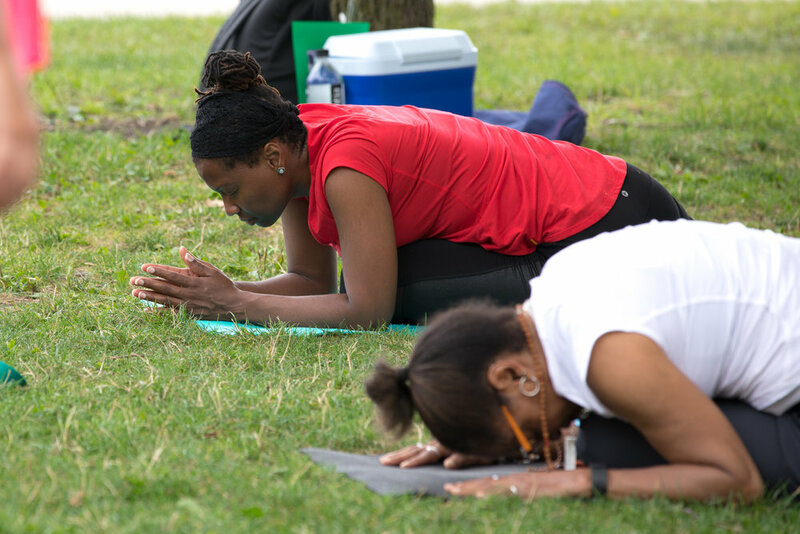 We began the day with an easy yoga practice with yogini, Kristi Taylor. 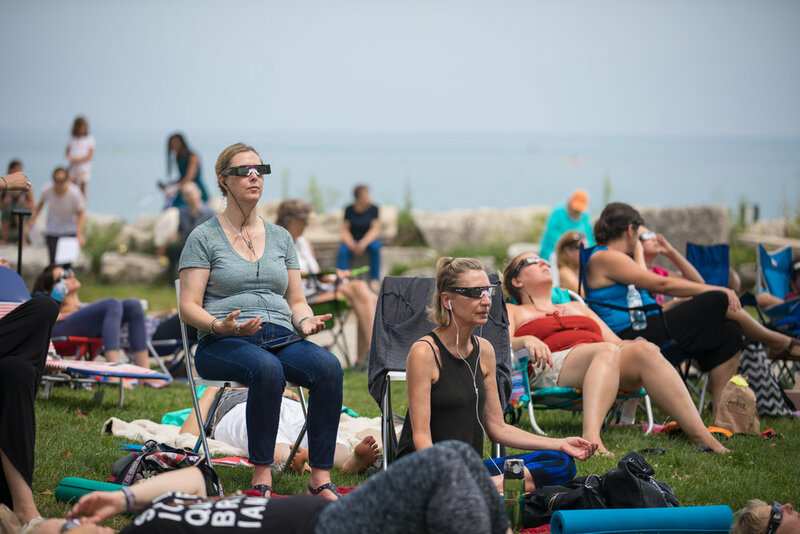 The yoga practice was geared to creating presence and peace before the eclipse! 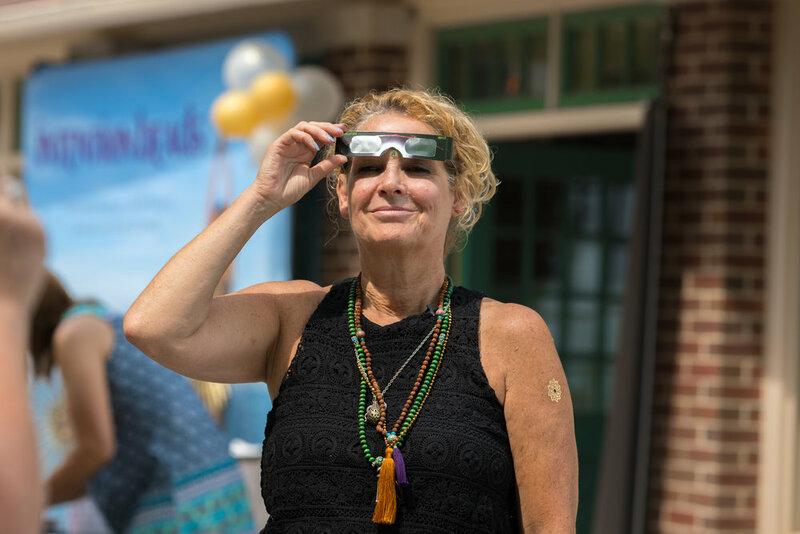 Each participant's astrological charts were printed custom to their birth time and location, where they could see what area of their lives this eclipse was affecting. 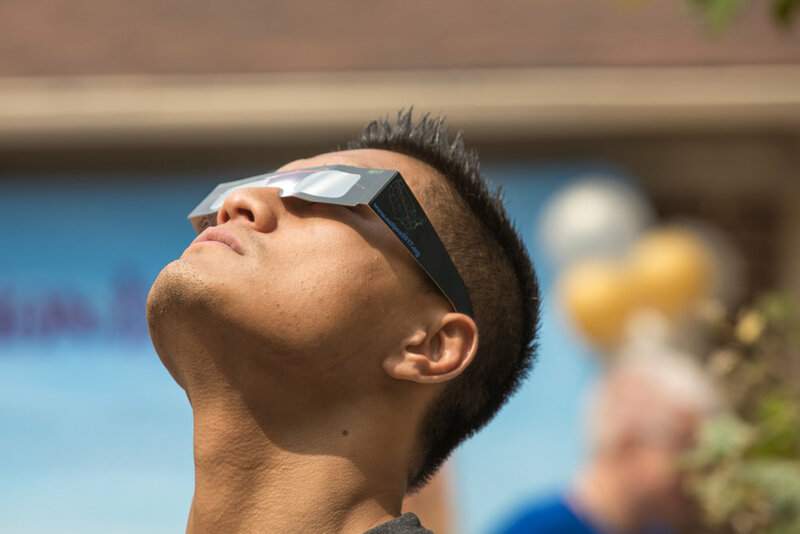 Want to see how the Eclipse is affecting you? Schedule a reading over the phone. 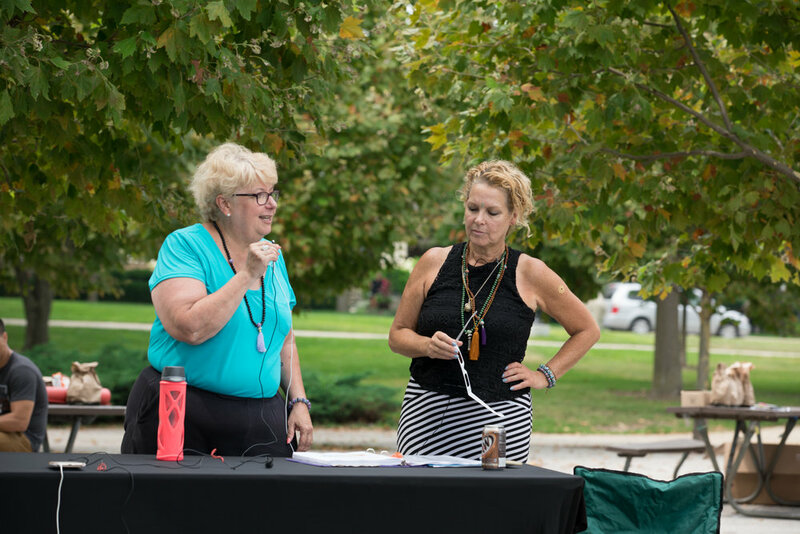 Our hosts, Sandy Rueve and Susan Gidel began their presentation on the history, meanings, and overall astrological explanation of the Eclipse, which we will share some talking points below. 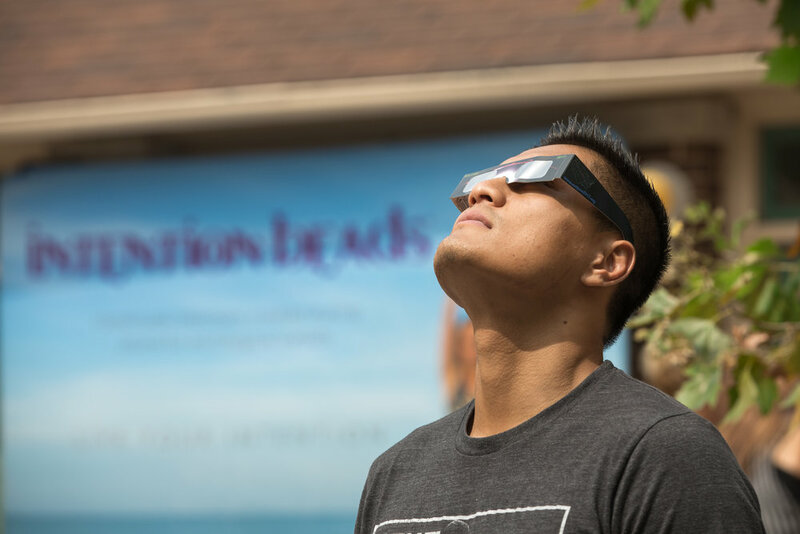 Once the eclipse began, the energy was excited and awe-filled. 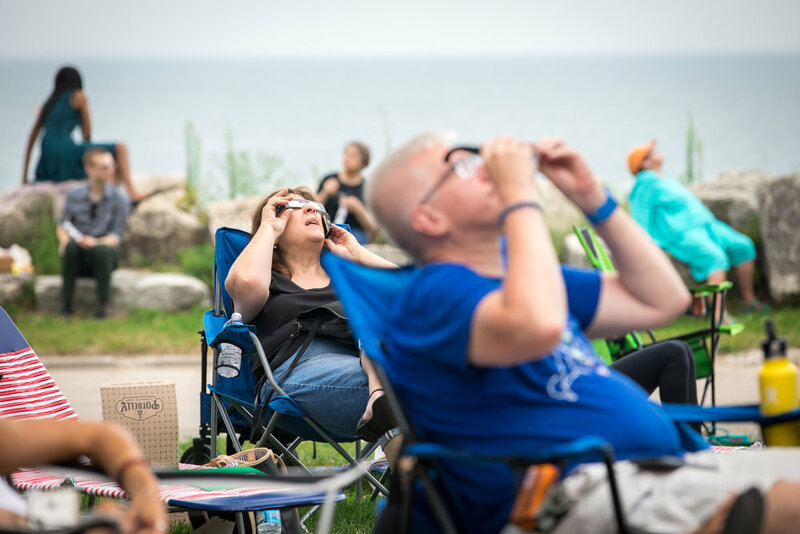 For some, this was their first eclipse and even for those of us that had seen them, this eclipse still brought novelty and expansive ideas. There are two types of eclipses, Solar and Lunar. The difference is in the placement of the Sun, Moon, and Earth. Also, the degree of the Lunar Nodes creates the degree of totality (since the shadow does miss the earth's surface or casts on the ocean). When the Earth is sandwiched between the Sun and Moon is a Lunar Eclipse- where the Sun's light is blocked from the Moon from the Earth- this gives the moon a deep red shadow. The lunar eclipse can only happen when there is a Full Moon- since the Sun and Moon are in what's called an opposition. A Solar Eclipse is when the Sun and Moon are in what's called a conjunction. The Moon winds up being sandwiched between the Sun and Earth while casting a shadow on the Earth's surface. The symbolism of Eclipses (mainly speaking of Solar Eclipses) is a hard stopping point. 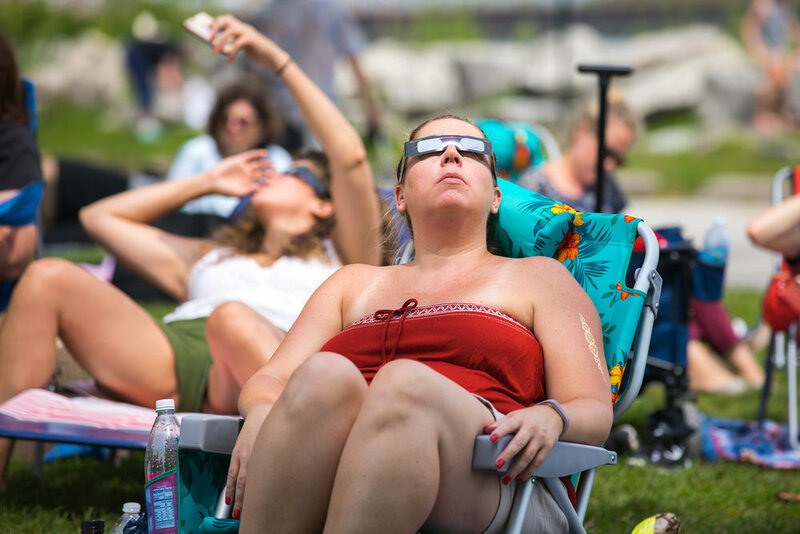 The Total Solar Eclipse was historically a frightening, life-changing experience when humans believed the gods to be angry with them, thus taking away the sun. 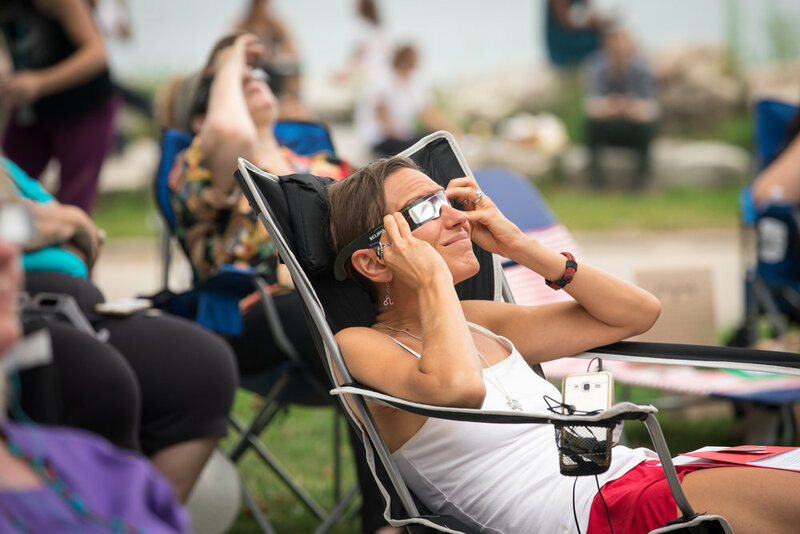 After those long 2+ minutes of the eclipse, the sun would reappear- giving those in the shadow a new sense of appreciation and a brand new lease on life. Astrologically, a solar eclipse symbolizes a death and re-brith in our lives. To be more specific, an astrologer must look at what house the eclipse is in and/or any important aspects of your planets. Focus on personal development and self recognition. Identify weakness to develop an express more fully. Expand personal horizons to overcome blocks to personal growth. Take on a leadership role. Initiate a strength building program. Focus on financial and material status. Expand resources rather than take on new debt. Lead based on personal values. Be proud of yourself. Try a new investment program. Focus on intellectual and communication issues. Learn and teach. Express ideas and knowledge via spoken or written word. Speak up! Be the leader among your siblings and neighbors. Drive a convertible. Focus on home life and family relationships. Make adjustments to satisfy emotions, needs, insecurity. Add some bling to your home. Be proud of your accomplishments. Focus on expressing creativity and affections. Be joyful. Get on stage. Show your stuff, probably. Take a risk. Focus on personal health, work environment, and job relationships.Implement better health and nutritional practices. Find a healthy way to interact with coworkers. Reduce unhealthy work habits. Say yes to a bigger job. At heart tests at the doctor. Start a charity. Focus on one to one relationships, both personal and business. Find harmony and balance. Support of partners goals. Partner with the leader. Make the first move in a relationship. Focus on sharing material goods. Arouse sexual urges. Propose marriage. Celebrate a lost life. Invest boldly. Focus on your definition of wisdom and truth. Expand your mind through higher education and travel to other cultures. Stand up for your beliefs. Applied to the best school. Visit lands in foreign royalty. Focus of career advancement, public recognition, and social reputation. Promote your accomplishments. Ask for raise. Become the CEO. Focus on society and human race. Get involved with humanitarian groups. Put your group in the spotlight. Dream big! Focus on psychological development and spiritual growth. Come out of your spiritual closet. Bring attention to "the hidden" in society. 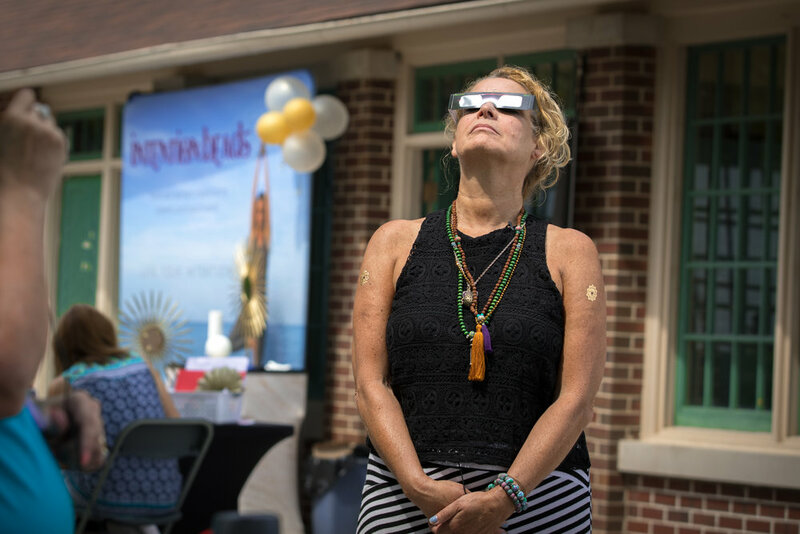 During the eclipse, we made Intention Beads Celestial Malas/Bracelets as well as charged aromatherapy lava rocks in the shadow of the moon. 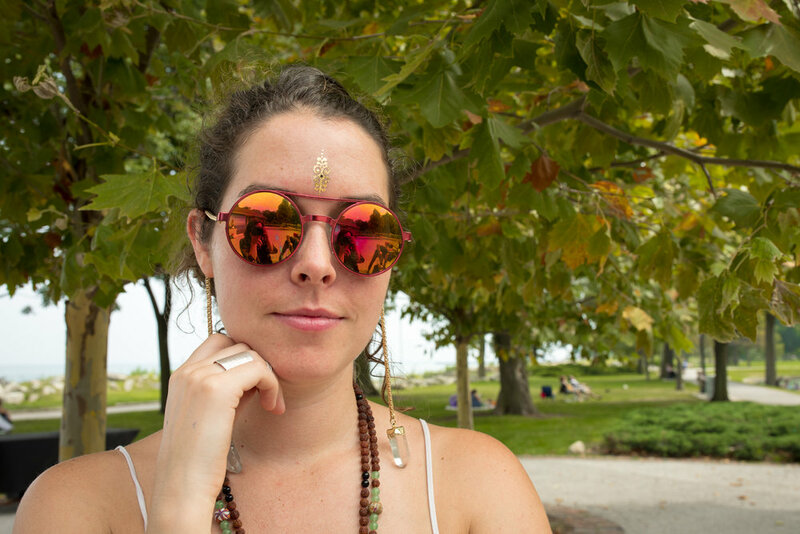 These items are about clean, fresh starts and transforming into our more radiant selves. Bali was on the list. A place to see. And just like the power of intention, the opportunity came thru one day. Taz Rashid, a transcendental + yogi DJ, was in the studio with Sandy. He had just finished the process of his first Intention Bracelet and Sandy was in-person with him guiding him through his first ceremony. Later when talking about his upcoming travel schedule, he said the magic word: BALI. Sandy and I asked more questions and found out that he was playing at the Bali Spirit Festival. Quickly we pulled up the website and discovered the festival was happening just after Sandy's 60th birthday (March 19). 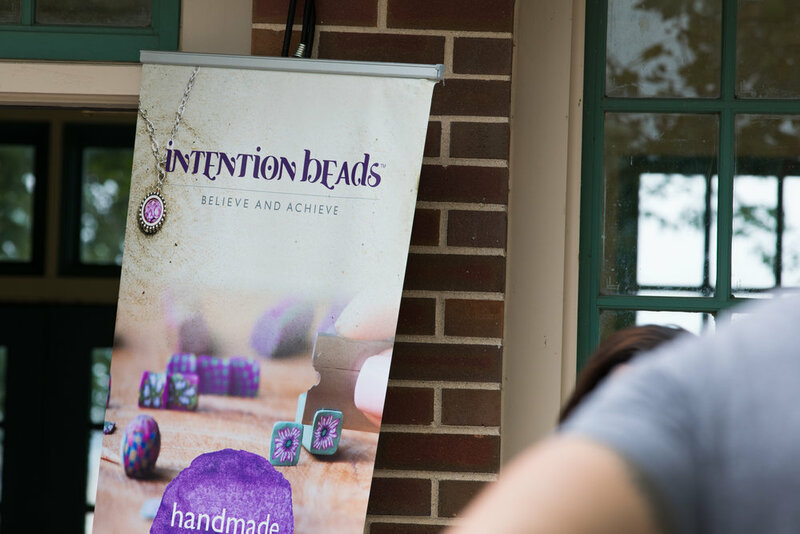 The intentions were set: Intention Beads would be a part of the Bali Spirit Festival and we would travel there early to celebrate Sandy's milestone. 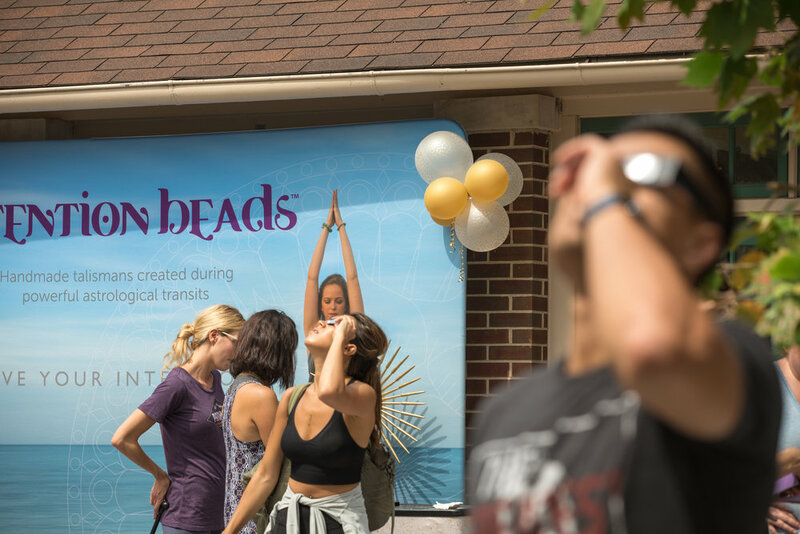 So, fast forward: Intention Beads was to sponsor the Bali Spirit Festival and flights were booked for a week and a half early arrival! 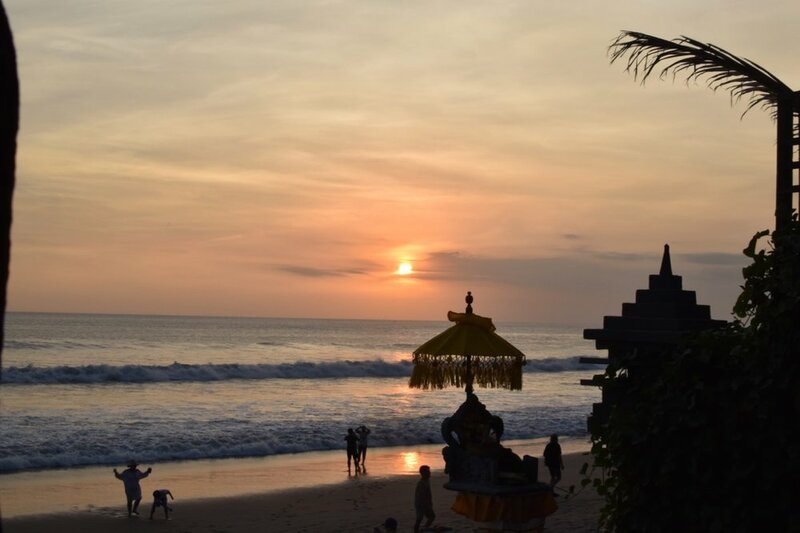 Arriving in Bali, we first stopped in the Kuta area: a big city with buzzing cars, quickly swerving motorbikes, and a hustle that excites. We stayed just outside the city limits in a quiet rice town called Seminyak at a private villa. There we reveled in the beauty and honesty of the town: the people were warm and welcoming, the food was hand delivered by the local farmers themselves, and everything had purpose. There was hardly no waste. Glass bottles were recycled to hold gasoline for a quick fill-up and the saying of "if it ain't broke...don't fix it" was widely accepted. We befriended many during our short morning walks to our favorite Bumbak Coffee, and had a Balinese 'friends-giving' feast before we set off to our next location: Ubud. 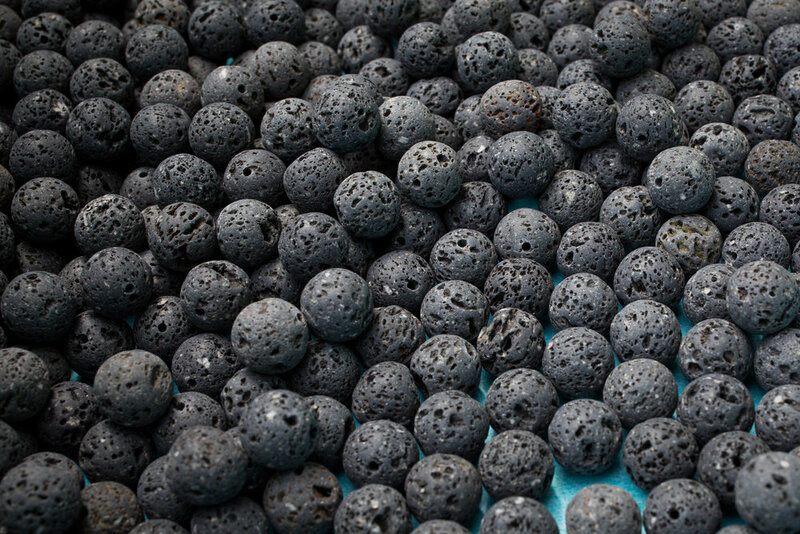 Ubud is the mecca for artisans. Nearly every storefront shows an open facade with the hard-at-work artists with their craft at hand. We saw everything from Teak wood sculptors, painters, potters, healers, farmers, and cooks. In Ubud, we discovered the people's connection to their land, ancestors, and deities. Everyday (and multiple times per day) the store owners/artisans/residents would give offerings outside of their stores and homes: collecting fresh flowers from trees, lighting a stick of Balinese incense, and placing it all (with a treat) on a woven plate made from palm. During which they would bow and meditate on their desires and gratitude (sounds familiar!). 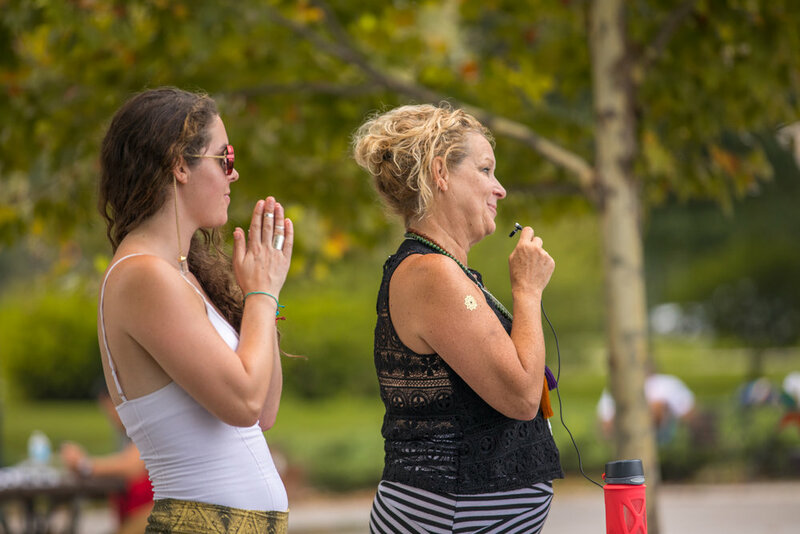 The mindfulness that we witnessed from the people was palpable and contagious. Before we had left, a mentor told me, Bali is a place where you don't have to meditate. 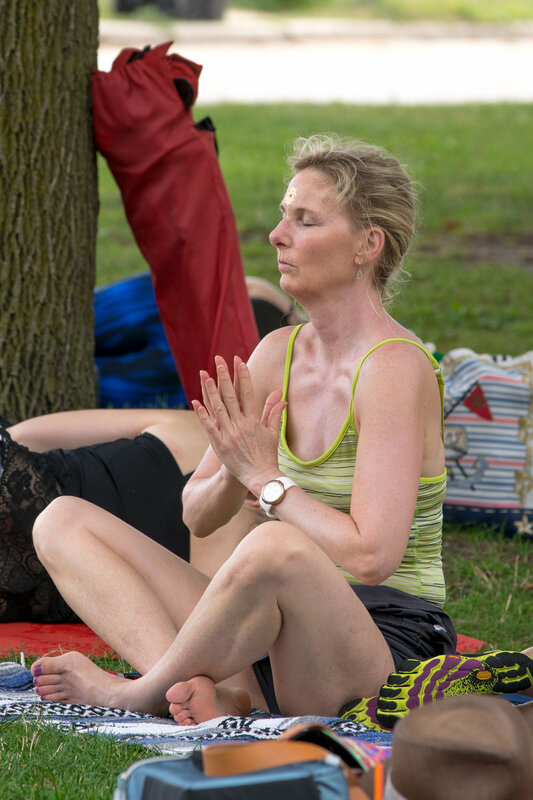 The meditation is simply there. And he was exactly right! We are so excited to announce the launch of our new website featuring astrology resources, new product and upcoming events.